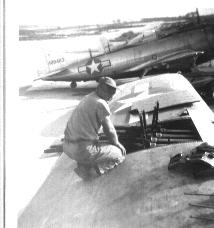 Ken Moore sent in some pictures of P-47's at Northwest field. 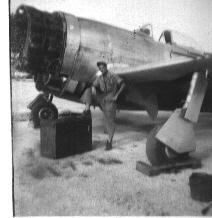 Ken says "The outfit was the 7th Ftr Command, 21st Ftr Group, 46th Ftr Sq. I was with the 46 Ftr. Sq. and was an armorer. 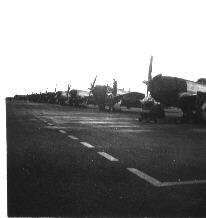 The pictures were taken approximately in May or June 1946. 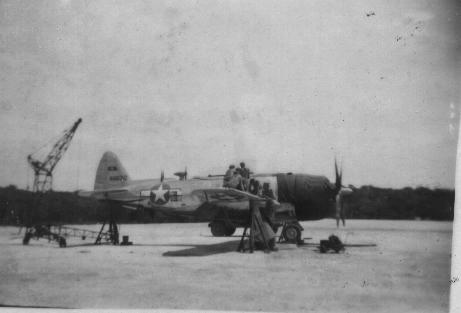 We were the only Fighter Group attached to the 20th Air Force."